Create a packing list for what you are planning on taking on your trip. I learned this from one of my co-workers and it has helped me tremendously. This will help you stay organized, as it will force you to plan in advance. 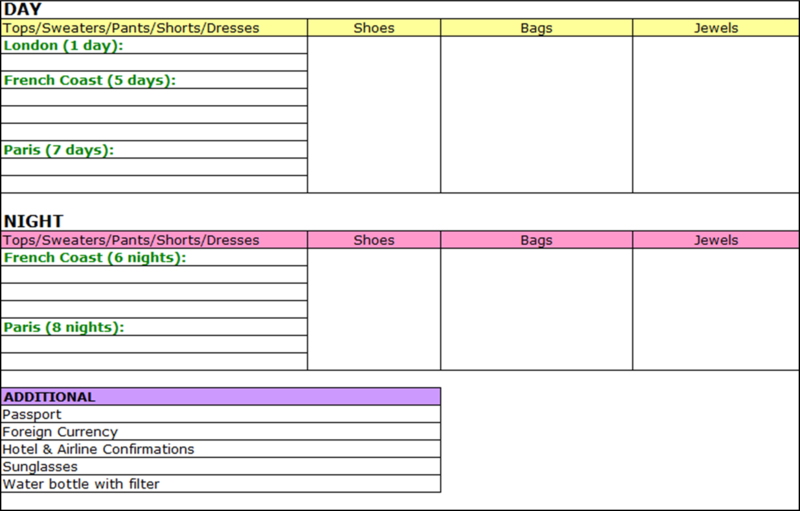 Here is an example of the packing list my co-worker created in excel. However, feel free to use whatever format works best for you.